If it wasn’t for Ole Gunnar Solskjaer’s arrival in January, would Manchester United be in a position to be challenging for a top four finish? I don’t think so considering how grim it was under José Mourinho. We rarely looked convinced, couldn’t get a run together and were ultimately underperforming as a team. 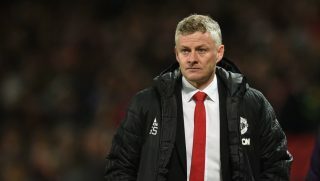 While United are on a poor run or 4 defeats in 5, Solskjaer’s men still stand a great chance of finishing third or fourth in the Premier League this season. Of course, Solskjaer will have one eye on the Champions League, but United must now overturn a one-goal deficit at Camp Nou next season. That won’t be easy and winning the Champions League was never a realistic aim this season. The boss will take each game as they come, though he believes 15 points between now and end the season will ensure third place. That, considering where United where in December, would be an achievement. It’s possible but it won’t be achieved unless United can get back to winning ways. We have West Ham this weekend before taking Barcelona on again in the second leg of our Champions League quarter-final tie. The Catalans go into the game with a one-goal advantage.